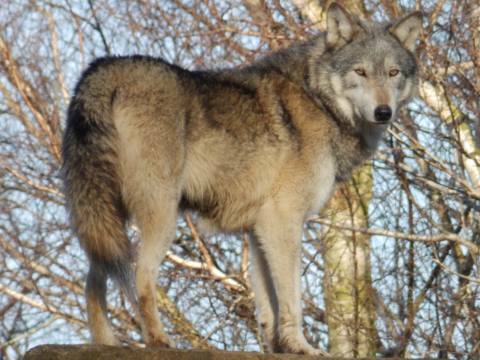 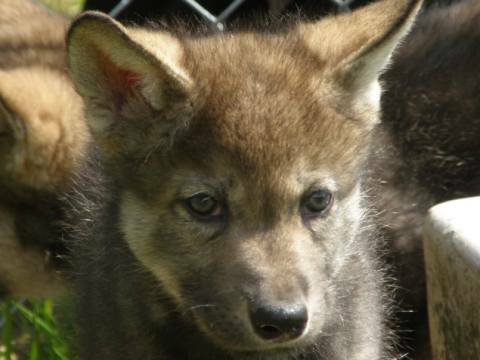 Tundra was born at the Trust in May 2011 and is the dominant female in the Beenham pack. 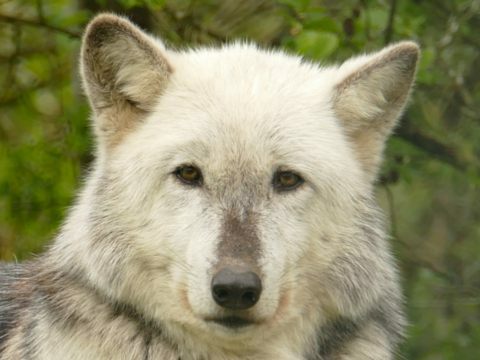 She is very similar in colouring to her brother Nuka but Tundra is easily distinguished with her smaller frame, slender face and long thin nose. 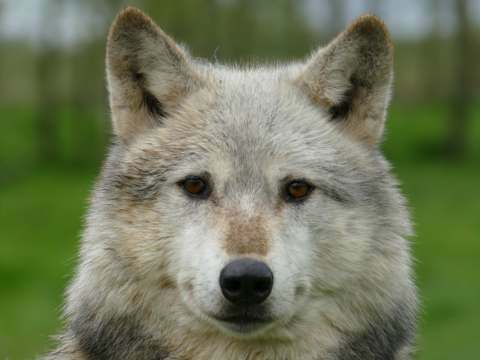 She has beautiful amber eyes and her coat is a mixture of light brown, grey and straw with a black "collar" round her neck giving her a very elegant appearance. 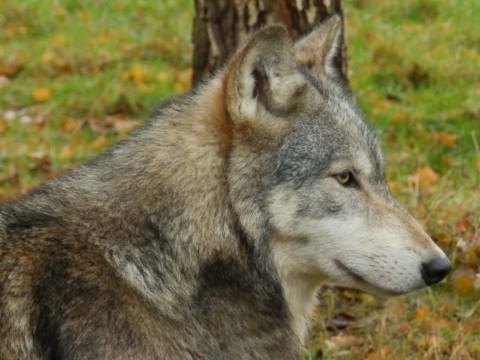 Tundra is a firm favourite with volunteers as she has such a diverse character and is a very stunning and affectionate wolf.